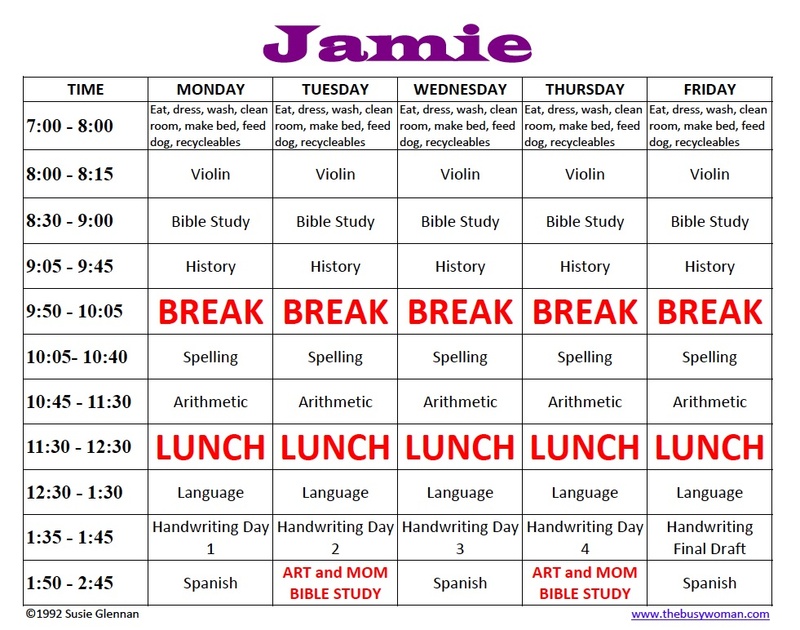 This is a homeschool schedule sample from when my youngest was in first or second grade. She wanted as much work as her siblings. And she often spent longer playing violin and sometimes finished her spelling early. Bend with your children and they will find their rhythm. The girls liked to take a break and play outside or goof off for a while. And so they did… All of them were graduated with two degrees each by the ages of 19, 20, and 22. Use their different learning styles and personalities to help them achieve and they will do well. If you work well in excel, you can make your own, or you can always come to our Facebook page and ask for help.